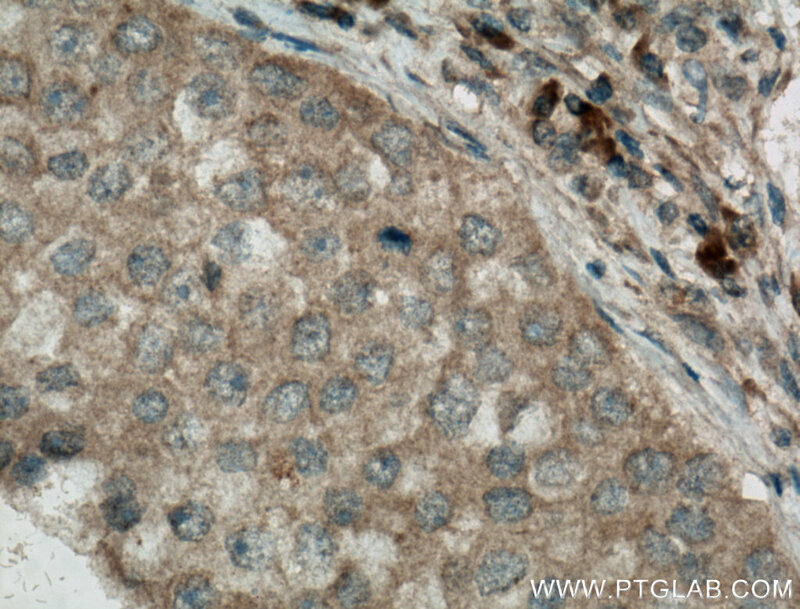 Immunohistochemistry of paraffin-embedded human breast cancer tissue slide using 66470-2-Ig( CASP3 antibody) at dilution of 1:300 (under 10x lens) heat mediated antigen retrieved with Tris-EDTA buffer(pH9). 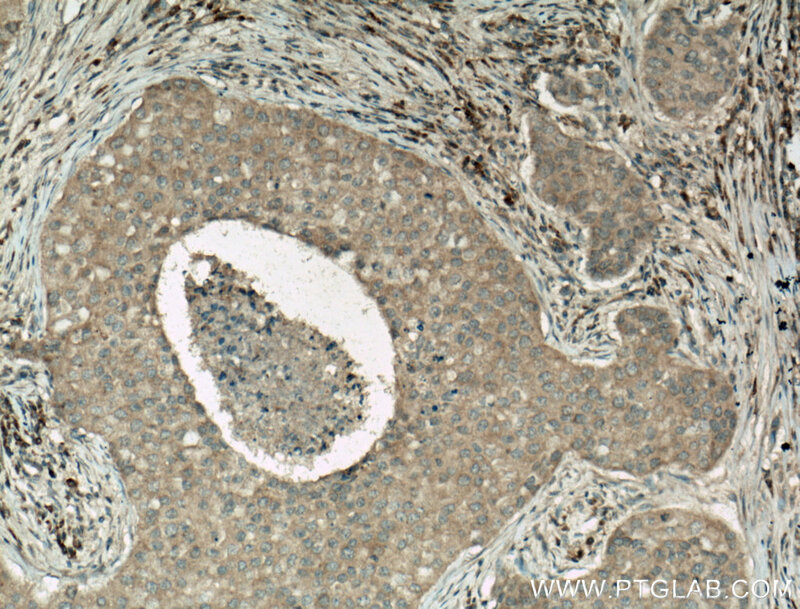 Immunohistochemistry of paraffin-embedded human breast cancer tissue slide using 66470-2-Ig( CASP3 antibody) at dilution of 1:300 (under 40x lens) heat mediated antigen retrieved with Tris-EDTA buffer(pH9). Caspases, a family of endoproteases, are critical players in cell regulatory networks controlling inflammation and cell death. 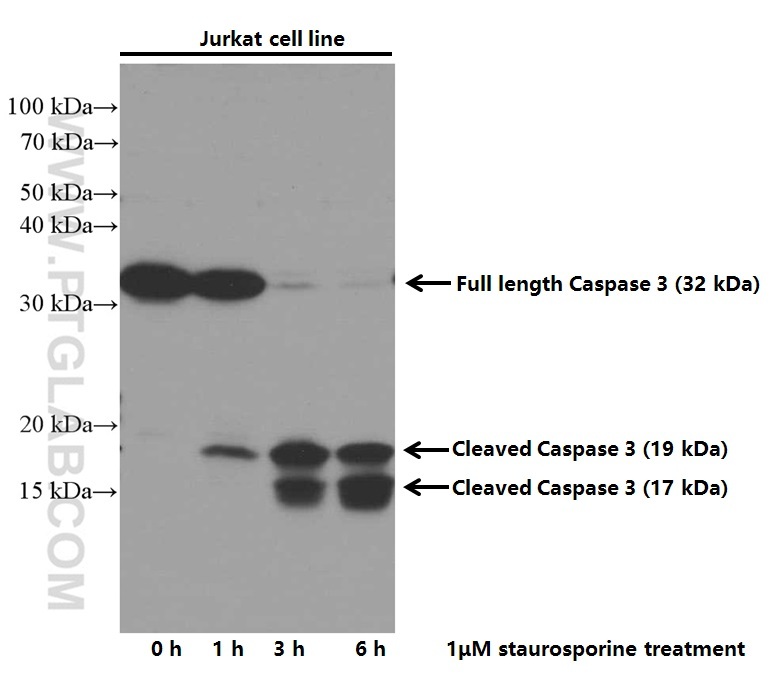 Initiator caspases (caspase-2, -8, -9, -10, -11, and -12) cleave and activate downstream effector caspases (caspase-3, -6, and -7), which in turn execute apoptosis by cleaving targeted cellular proteins. 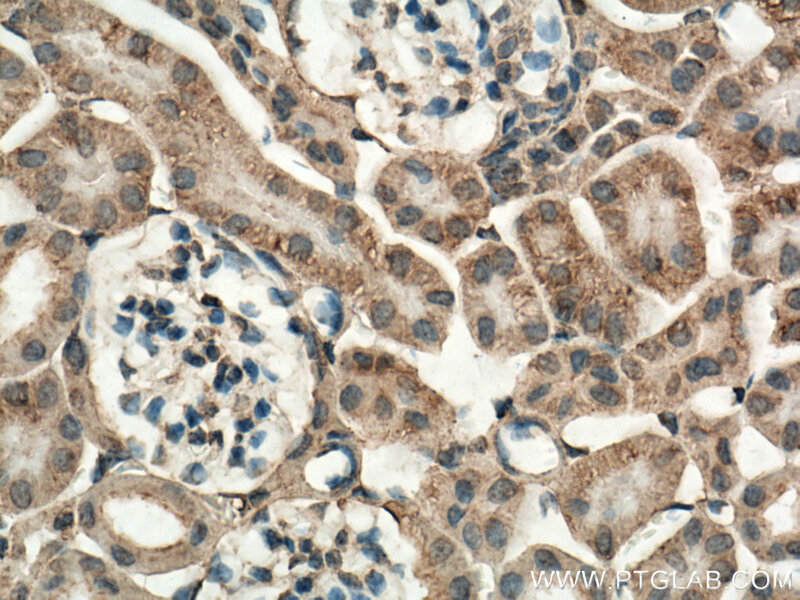 Caspase 3 (also named CPP32, SCA-1, and Apopain) proteolytically cleaves poly(ADP-ribose) polymerase (PARP) at the beginning of apoptosis. 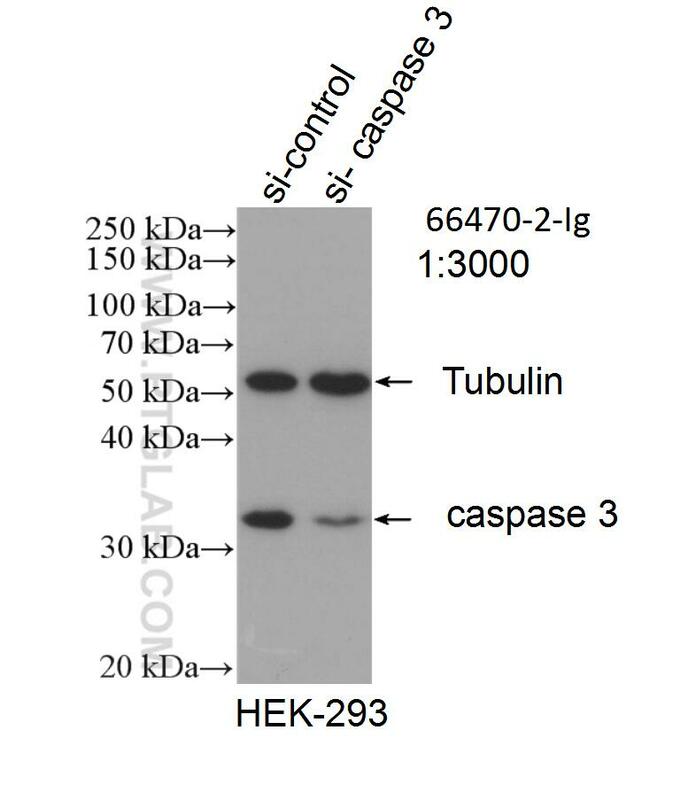 Caspase 3 plays a key role in the activation of sterol regulatory element binding proteins (SREBPs) between the basic helix-loop-helix leucine zipper domain and the membrane attachment domain. 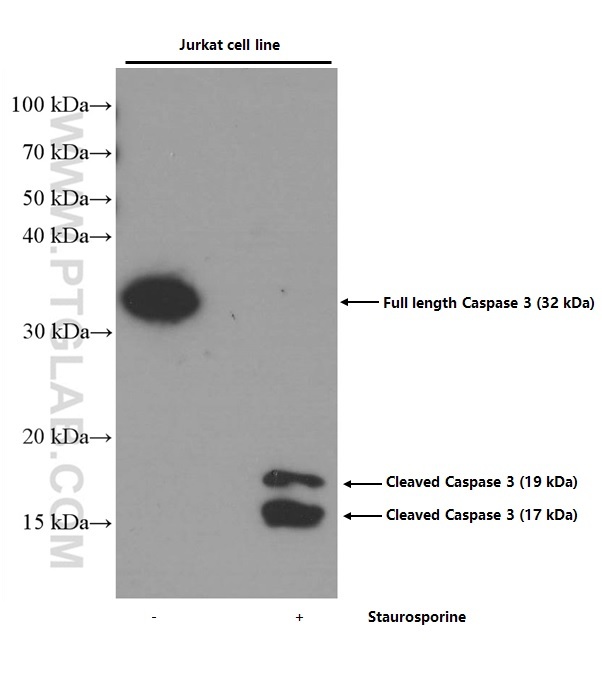 Caspase 3 can also form heterocomplex with other proteins and performs MW of 50-70 kDa. 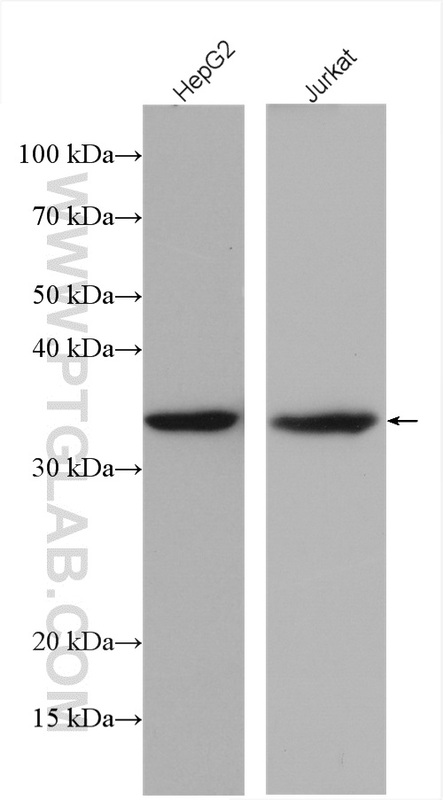 This antibody can recognize p17, p19 and p32 of Caspase 3. Deoxyelephantopin Induces Reactive Oxygen Species-Mediated Apoptosis and Autophagy in Human Osteosarcoma Cells. Dectin-1 is essential for IL-1β production through JNK activation and apoptosis in Aspergillus fumigatus keratitis. MiR-15b is a key regulator of proliferation and apoptosis of chondrocytes from patients with condylar hyperplasia by targeting IGF1, IGF1R and BCL2. 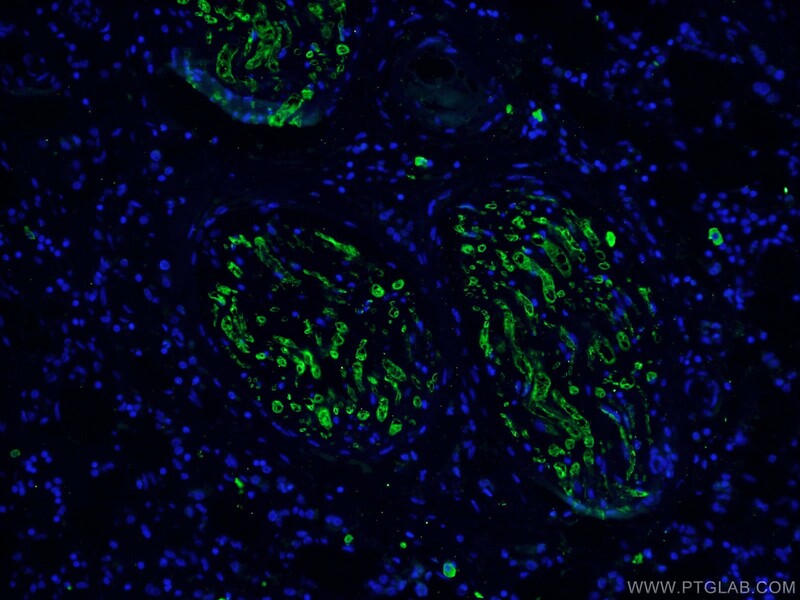 Immunohistochemistry of paraffin-embedded mouse kidney tissue slide using 66470-2-Ig (Caspase 3 antibody) at dilution of 1:300 (under 10x lens) heat mediated antigen retrieved with Tris-EDTA buffer(pH9). 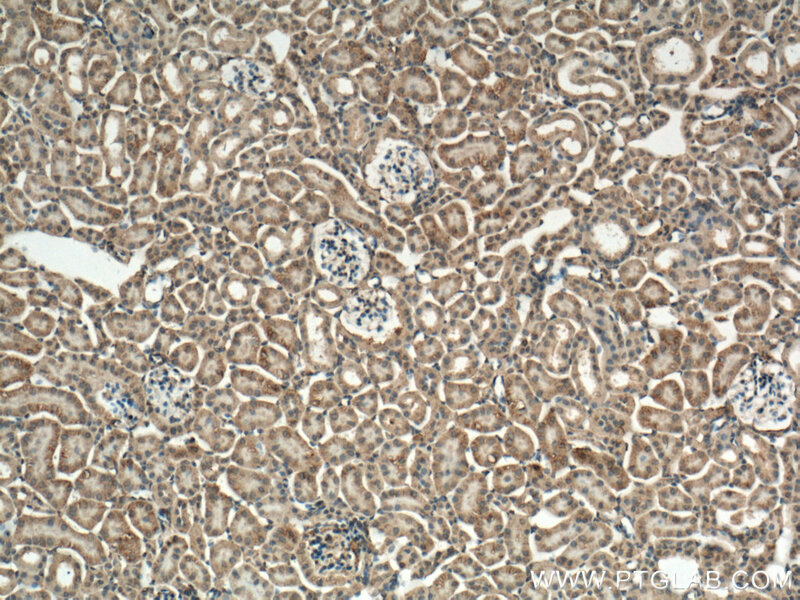 Immunohistochemistry of paraffin-embedded mouse kidney tissue slide using 66470-2-Ig (Caspase 3 antibody) at dilution of 1:300 (under 40x lens) heat mediated antigen retrieved with Tris-EDTA buffer(pH9). 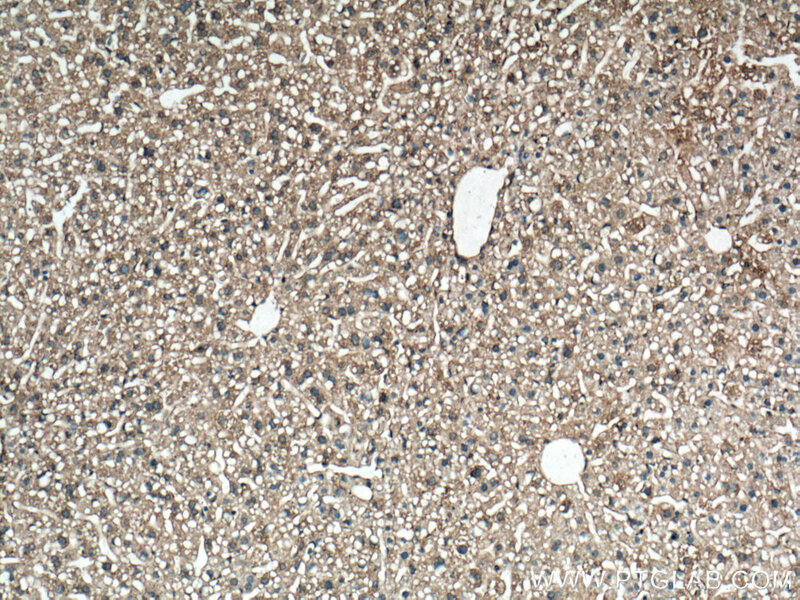 Immunohistochemistry of paraffin-embedded mouse liver tissue slide using 66470-2-Ig (Caspase 3 antibody) at dilution of 1:300 (under 10x lens) heat mediated antigen retrieved with Tris-EDTA buffer(pH9). 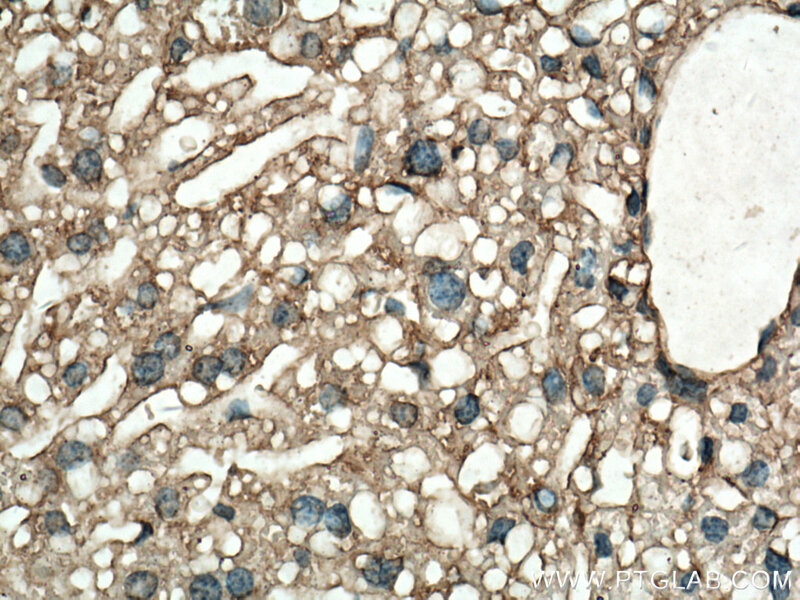 Immunohistochemistry of paraffin-embedded mouse liver tissue slide using 66470-2-Ig (Caspase 3 antibody) at dilution of 1:300 (under 40x lens) heat mediated antigen retrieved with Tris-EDTA buffer(pH9).